The redevelopment of the former Scottish Television Studios (which had an existing planning permission for 315 flats) to provide 275,000 sq. ft. of Grade A offices and a 200 bedroom hotel. 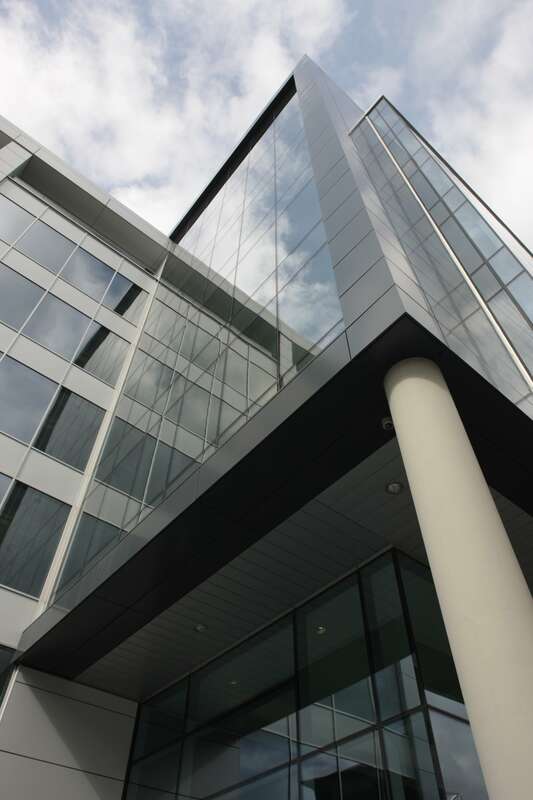 The first phase of offices, Broadway One, comprised 125,000 sq. ft. (net) which is now occupied by Tesco Bank and the hotel was sold to citizenM Hotels as their first UK venture. Improved value through securing planning permission for a commercial development. Delivered the first citzenM in the UK. Commenced speculative development of Broadway One – 125,000 sq. ft. (net) – in July 2007. Broadway One completed on time and within budget in May 2009. Fully let on a 20-year lease to Tesco Bank in August 2009. Achieved a rental rate above ERV expectations. Sold to KanAm ahead of exit yield expectations in December 2009. A very profitable and successful project which was developed through the market collapse.